It’s a simple question: Who wins when two different people claim ownership of the same pet? If only the answer were simple. Regardless of the situation and the state you live in, there are some precautions you can take to help stay out of the courtroom. Imagine this scenario that could turn into a nightmare. You adopt a cat or dog from an animal shelter and fall in love with him. Then someone who claims to be the original owner enters the picture and wants the animal back. What happens? This scenario comes in many variations but often results in heartbreak, stress, and legal costs. Unfortunately, there isn’t one answer that fits each situation. The facts of the case and the applicable laws both play a part. Although in some situations the current and former owner may be able to resolve the conflict on their own, in others the legal system will play a part. Disputes over ownership become a legal matter when one of the parties hires a lawyer. The parties may still settle the dispute without going to court or they may proceed to court by one party filing a lawsuit. The outcome is likely to depend on state or local law as well as the facts of the situation. State or local law should tell animal shelters how long the shelter must keep a stray animal before putting the animal up for adoption or euthanizing him. The law may also enumerate the steps a shelter must take in order to find the owner. For example, it may require scanning for a microchip and may require a specific method of contacting the owner. Such laws vary from location to location. If a private shelter has a contract with the city or county to provide animal sheltering services, that contract may also provide the same kind of parameters. Keep in mind the law considers animals to be property and so the animals do not have any inherent rights. The contract between the shelter and the adopter may also play a role in outcome. For example, a contract might state that if a prior owner makes a claim within a certain number of days of the adoption, the adopter must return the animal. Finally, a court would look at the facts of the case and the supporting evidence. It may examine the shelter’s records to see if the animal was held the requisite length of time and to determine whether the shelter followed the rules for identification and notification. The judge may consider extraordinary factors such as those that existed as a result of Hurricane Katrina, for instance, and the rescue of many animals left behind. All adoptions should be evidenced by a contract or agreement. Microchips should be registered to the current owner. People should keep copies of veterinary records. Shelters and rescue groups should know the laws in their state and local jurisdiction and make sure to follow the laws to a tee. All parties should consider advocating for improvement to the laws if needed. Helga Schimkat is a lawyer, writer, and activist who focuses on animal and environmental issues. 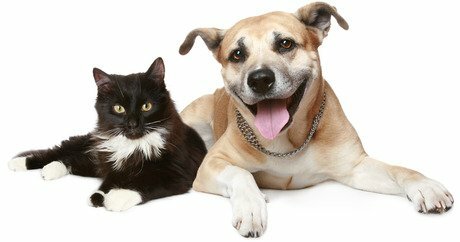 This article provides a brief, general overview of animal law issues. It does not constitute legal advice and should not be relied on as such.